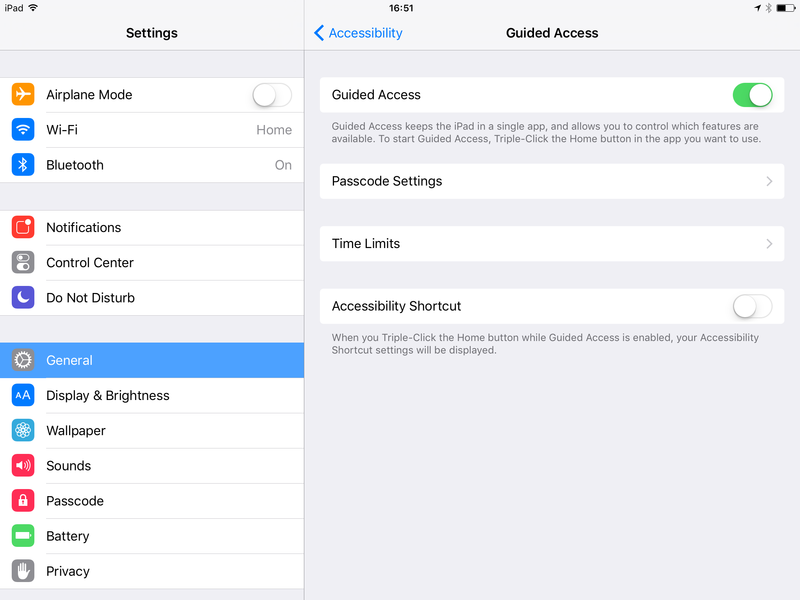 In order to use an iPad in kiosk mode you will need to turn on the Guided Access Mode. This great feature allows you to lock an iPad for a single application and disable hardware buttons and gestures during the use of this app. 1 . 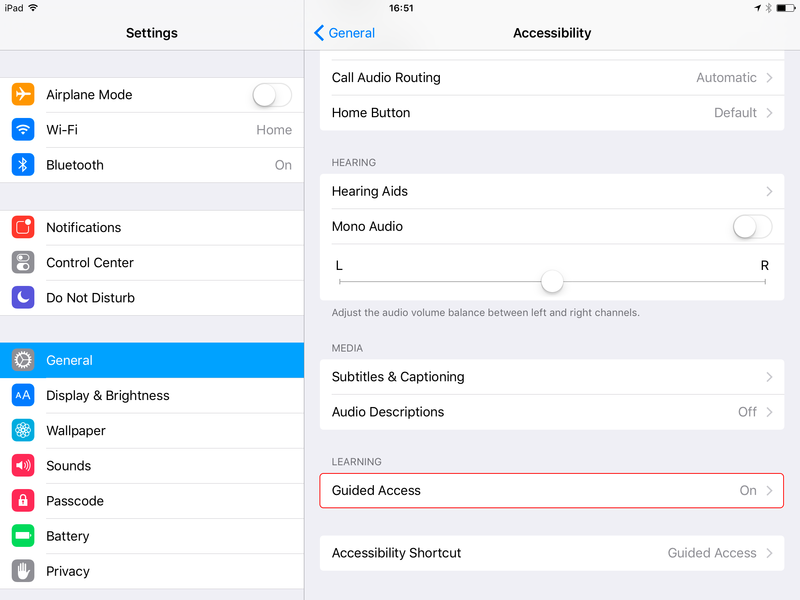 Go to Settings → General → Accessibility on your iPad. 2. Scroll to bottom of page to find Guided Access options. 4. 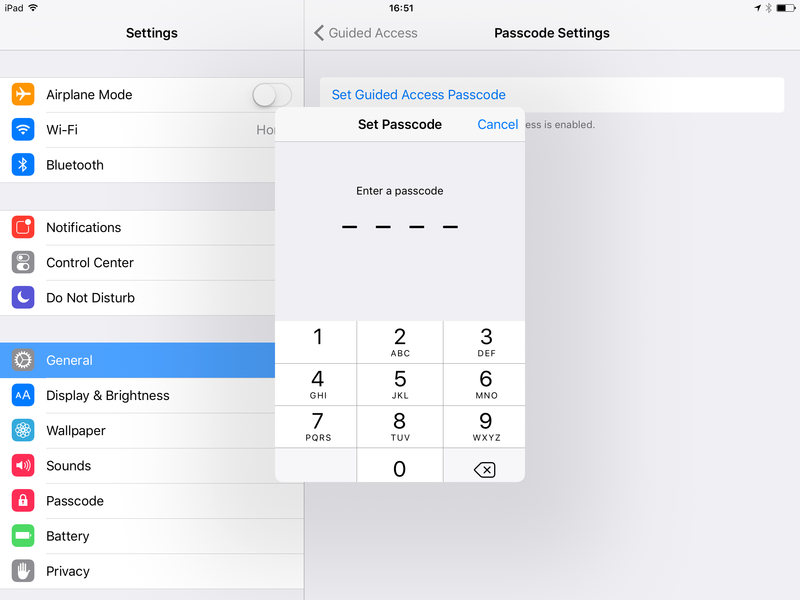 Go to Passcode Settings to set a 4-digit Passcode. You will be prompted to re-enter your password for confirmation. 5. Now open the Facelet App. 6. Press Home Button 3 times in a quick manner. Guided Access Mode settings will appear. 7. Check settings to lock hardware buttons, enable touch and don't set any time limit. 8. Press Start in the right upper corner of the screen. A guided access mode is now on. Enter your Guided Access Mode Passcode. Press End in the left upper corner of the screen. Keep in mind that holding both Home Button and Power Button for a few seconds will cause a force shutdown of your iPad. It will also exit a Guided Access Mode. 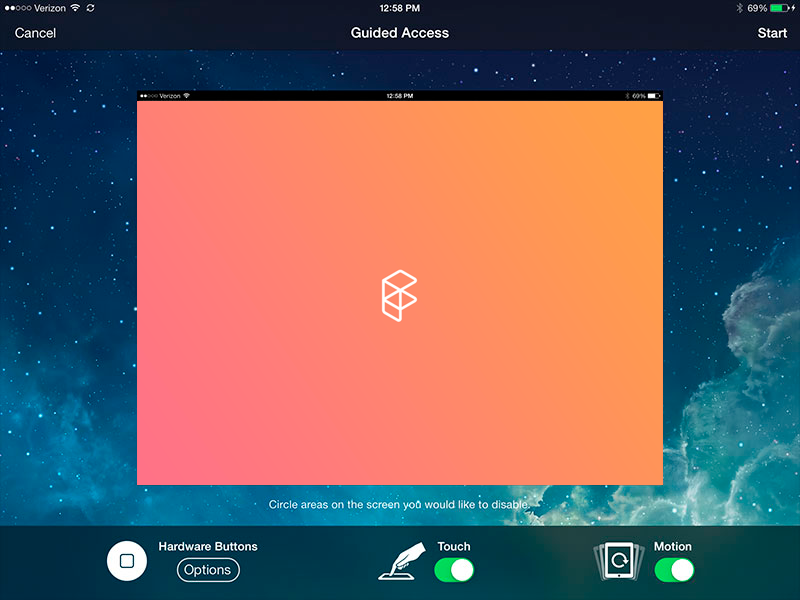 It's a nice solution if you have forgotten your Guided Access Passcode, but remember that you need to have an iPad Passcode set as well so no one can enter the home screen after a reboot.